We launch the first module of an ambitious free course to acquire the necessary training to apply Geographic Information Systems to the municipality management. 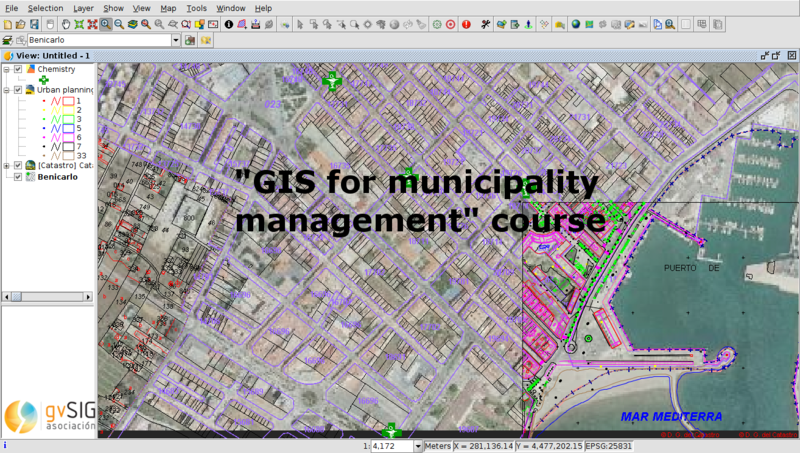 This course is based on the use of the gvSIG Suite products, a catalog of open source software solutions for working with the ‘Geo’ component, consisting of desktop, mobile and web solutions. It is important to note that at the end of the course you can obtain an official certificate issued by the gvSIG Association. We hope that the effort and time that we have devoted from the gvSIG Association to its elaboration is interesting for you, and we also ask you for help to spread it as much as possible. We are going to try to introduce the maximum number of people in the Geographic Information Systems together with open source software.